18 In. MOLLE Compatible Machete Sheath Black | BUDK.com - Knives & Swords At The Lowest Prices! Get the ultimate tactical machete sheath! 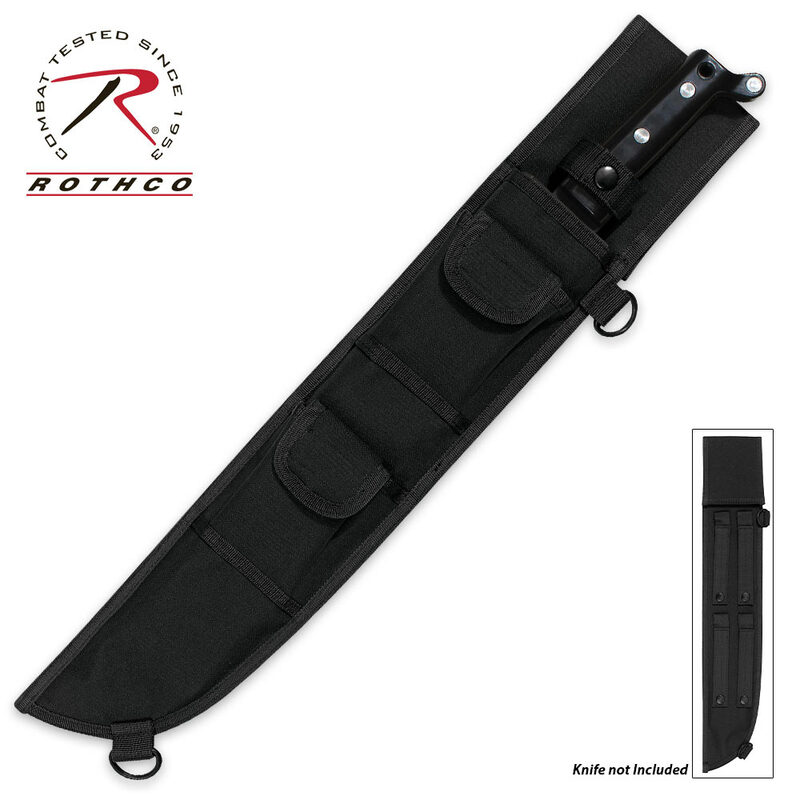 Rothco’s MOLLE Compatible Machete Sheath has a reinforced heavyweight sleeve and will stand-up to all kinds of weather to keep your machete safe and secure. Because it’s MOLLE compatible, it’s really easy to strap it on any of your gear. It features two pouches, and 2 D-rings. It is 18” in overall length.